Alum, Jennifer Stone, coaching a fantastic workshop! 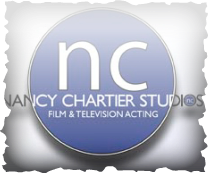 Nancy Chartier Studios training is based on the Meisner Method. 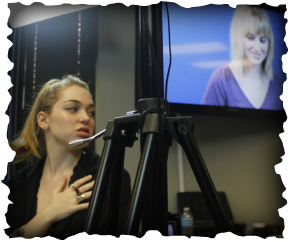 It's a very natural way of acting and encourages the actor to trust their instincts, be in the moment, organic, and real. Often I will get feedback from parents and agents saying they don't want cookie cutter acting robots who "perform", and check out mentally while acting. With the base of Meisner, I absolutely love the unique colors my actors are bringing to their work. Nancy, AFI Dallas "Divine Souls"
"It's usually clear when an actor auditions where they have studied. If they were lucky and smart enough to work with Nancy Chartier, their talent is showcased and their professionalism outperforms all others." - Kelly Herd, Director of “It’s In The Water"